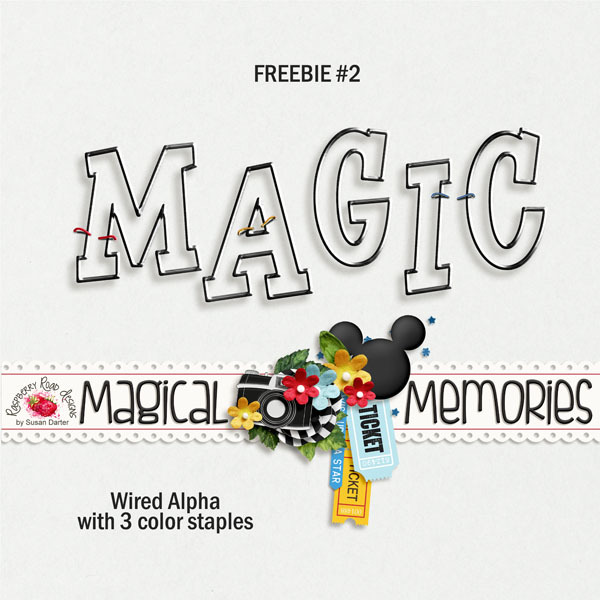 Susan here with another great freebie from the Magical Memories collection. Today I have a fun wired metal alpha and three color staples for you. Hope you enjoy it and I have extended the sale since I'm in the middle of moving and don't have a kit ready for you.